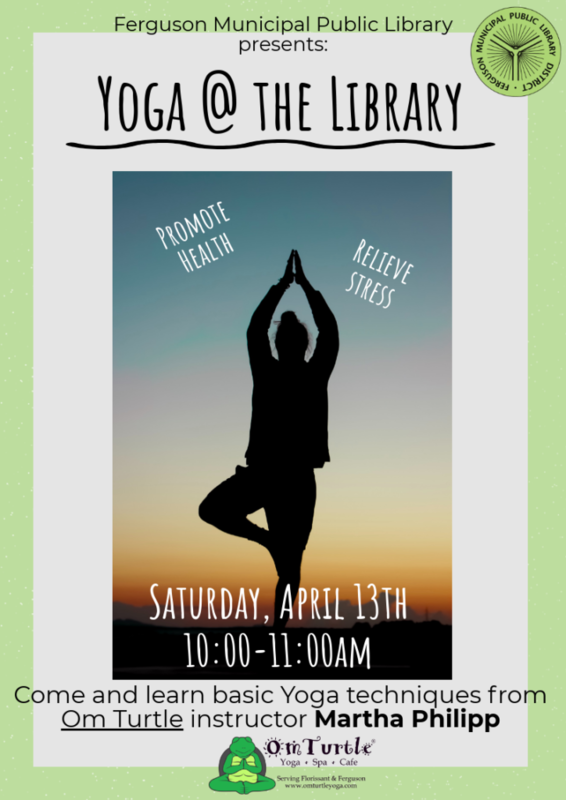 Ferguson Municipal Public Library presents: Yoga at the Library! Join us for light exercise and a good time with Yoga instructor Martha Philipp! All skill levels welcome! So BYOM (bring your own mat) if able and get ready for a workout! 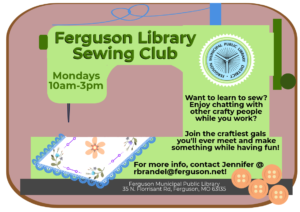 So contact Rachelle at rbrandel@fergusonlibrary.net for more information.